Football is the reason we have big screen TVs. If you have a broken TV, football is the reason you either fix it or buy a new one. In fact, the Super Bowl has likely driven more TV sales than any other televised event. And if all else fails, you can stream it on the Internet. Football in America has become a Sunday (and Saturday and Thursday) ritual that we’d do almost anything to protect. So when you’re all set for kick off– team jersey on and snacks in hand– what would you do if something was obstructing your view of the screen? Let’s say, for example, your big living room windows are letting in sunlight and casting a glare on your TV screen. 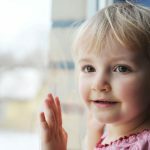 Before you draw the blinds or drapes, blocking out the light of day, or rearrange all the furniture only to get the sun in your eyes, consider a better solution. With an affordable, inconspicuous window film, we can help you eliminate glare on your TV and computer screens, all while preserving your view of the outdoors and letting in the natural light you appreciate. Panorama window films are specifically designed for solar protection. Like the SPF in your sunscreen, they are made with different levels of reflectivity and tinting. 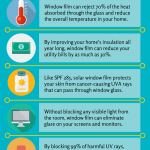 Based on your desires and the needs of your home, we’ll help you choose the perfect solution for your glare problem. The Dual-Reflective Slate Series by Panorama is ideal for reducing glare. Combining phenomenal solar rejection power with a more neutral finish, this series would also be a complement to the aesthetics of any home or office building. By reducing interior and exterior reflectance, you can maintain your privacy and your view, day and night. That’s right– not only will it reduce daytime glare on your TV screen, but when you look out your windows at night you’ll actually see the view, not just a reflection of you! And to top it off, each film in the series blocks more than 99% of harmful UV rays. hardly noticeable from the inside with a reflective finish outside. hardly noticeable from inside with a subtle, reflective finish outside. If you’re ready to cut the glare and get back in the game, Contact Pacific Window Tinting today! Call 503-736-9000 or click here to send us an email.